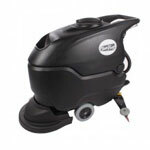 24 inch Floor Scrubber for Large Areas - Buy This CleanFreak® Auto Scrubber Today & Save! This durable floor scrubber, which is used for cleaning large areas, is the only one of our 24" walk behind floor scrubbers that has a brush assisted drive, making it's operation almost "push-free". Its two counter-rotating brushes virtually pull the machine along for you as you scrub so that all you need to do is guide it in the correct direction. The large 19 gallon solution tank allows you to clean a very large amount of floor area, up to 24,000 square feet per hour of maximum scrubbing capacity, before having to refill. The unique squeegee system helps you recover 100% of the solution put down onto the floor. This industrial rated machine is designed to be as simple as possible, thus reducing the possibility of break down and will give you years of use. Make the most of your money and stretch your dollar further by purchasing this machine in our exciting new commercial floor cleaning package which comes with everything you need to scrub, strip & clean hard surface floors! 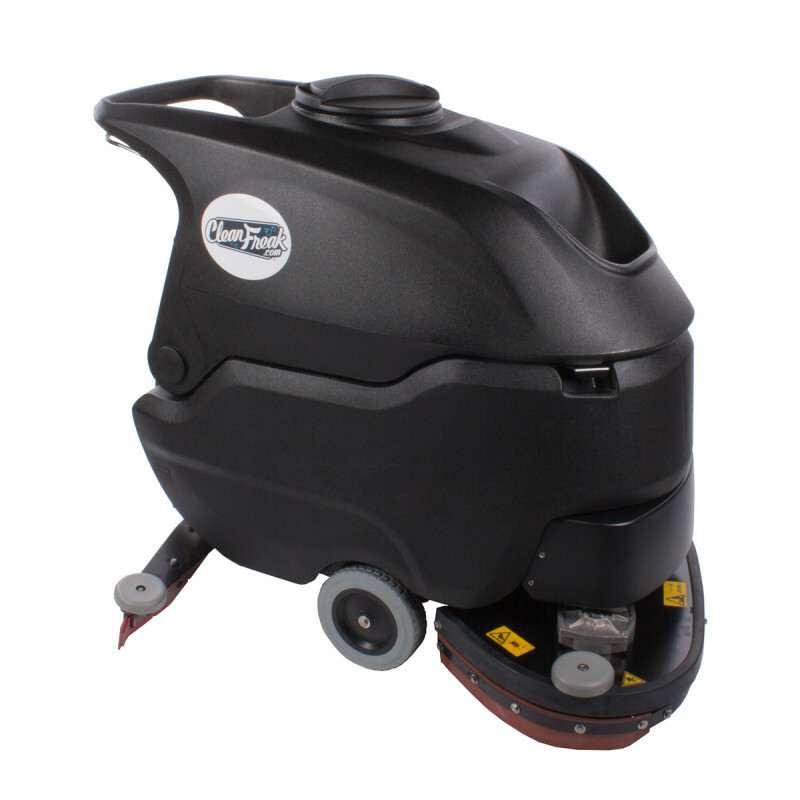 Watch our 4 1/2 minute introductory video below for the Performer 24 inch floor scrubber for large areas. It's one of our most versatile private label industrial floors scrubbers and works great on just about any size of floor cleaning job. It's a real workhorse of a machine!